Maintaining accuracy is important in opinion polls: Quinnipiac Poll Director Dr. Schwartz - Integration Through Media ....! 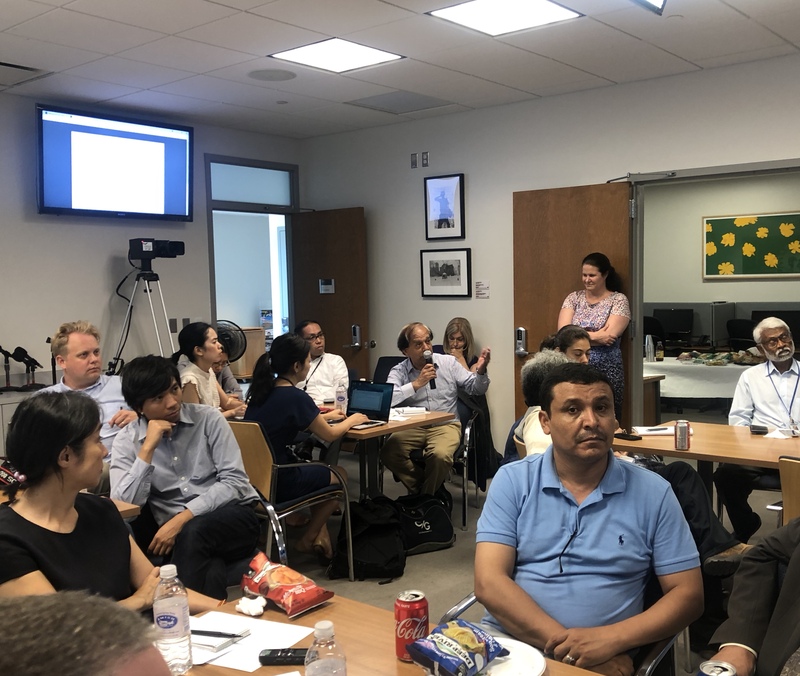 By Manoj Rijal, NEW YORK: An opinion poll will get credibility and matters the most only when it is independent and accurate and gives an impression to people that it can be trusted, according to Quinnipiac University Poll Director, Dr. Douglas Schwartz. “I look for a poll that has independent funding. Studies have shown that, in general, partisan polls tend to overstate their candidate’s position during an election,” said Dr. Schwartz, while addressing an interaction program with international journalists on August 29, 2018 at the Foreign Press Center in New York. On the question of accuracy, Dr. Schwartz said there are a number of gold-standards in place to make sure that the poll results provide maximum accuracy and the margin of error remains below 3 percent. “First of all, as a general rule, we make sure that the sample size of the respondents are at least 1,000. Bigger the sample size, lower the margin of error,” Dr. Schwartz said. On the relevance of making random phone call interviews, pollster Dr. Schwartz said phone calls are the most effective ways for getting the respondents’ perceptions compared to other methods, including the social media. “A lot of people don’t pick up the phone. It’s not a perfect method, but it’s better than all the rest. It still gives us a very accurate sample of the population,” Dr. Schwartz said. So, how does a random sample of phone numbers work? 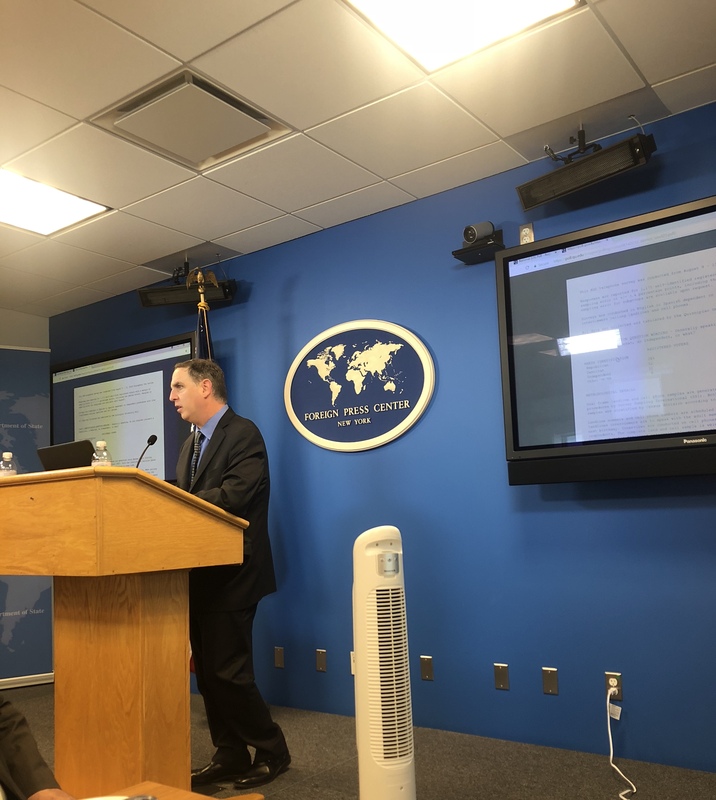 Dr. Schwartz said it is possible with the use of the random digit dialing, or the RDD, which is the gold-standard method in the polling industry. “The RDD method uses phone numbers that have been randomly generated by a computer. Some of the most respected polls in the country continue to use this method, including the Gallup and Pew polls,” Dr. Schwartz said. “Once we reach a household, we don’t automatically speak with whoever picks up the phone. We randomly select the person to speak with by using what’s called the next birthday technique. Basically, we ask to speak with the person in that household who has the next birthday. Why do we do this? We have found that it brings the right balance between the percentage of men and women in the population,” he said. “If we don’t get an answer, we try several times. If someone can’t talk immediately, we schedule a more convenient time. We spread out our calls between five and six days, which is our typical polling period. During the week, we call in the evenings. On the weekends, we switch it up. We work hard to reach people, to give them a voice, and not skip over them if they aren’t able to talk at the exact time we call,” Dr. Schwartz said. On the question of how a pollster can prevent his own poll from being positively or negatively manipulated by people, Dr. Schwartz said that the polling schedules should never be shared for this.